How much will my So Shiatsu treatment cost? Initial Shiatsu and Reiki consultations and treatments are £60 for 1 ½ hours, follow-up sessions are £45 for 1 hour. Emotional Freedom Technique sessions are £80 for 1 1/12 hours, £60 for 1 hour and £250 for 5x 1 hour sessions when bought as a block booking. Cancellation policy: If you need to cancel a treatment please give at least 24 hours notice to avoid a cancellation fee. What are the benefits of having Shiatsu? The aim of Shiatsu is to release blockages and re-balance energy flow, to encourage healing and maintain good health. The main benefits of Shiatsu are to support the individual in moving towards greater health and wellbeing. Shiatsu can also help with relaxation, relieving tension, stress, aid sleep and improving mood. It is a deeply relaxing experience. At your first Reiki session you will be asked some questions about your general health, well-being and for information about your past and present medical history. This information is necessary so that any contra-indications or conditions can be identified, that may require some adaptation to the treatment. I will also ask you to sign a consent form to consent to receiving a treatment. Reiki treatments can be carried out on a massage couch, in a chair or on a Japanese futon mat on the floor. The whole body may be treated or just specific parts, depending on where imbalances are thought to lie. You may become deeply relaxed or even fall asleep during the treatment. The first appointment will last around 1½ hours, with follow-up sessions lasting around one hour. I may give dietary and lifestyle advice as appropriate to support the treatments being received. What should I wear for receiving a treatment? Reiki and Shiatsu treatments are carried out fully clothed. It is recommended that you wear socks and light, loose, comfortable clothes. How will I feel after having a treatment? 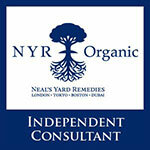 The majority of clients will feel more relaxed, balanced and energised after their treatment. In some cases, however, you may experience a ‘healing reaction’. Is it safe to have Shiatsu or Reiki during pregnancy? Yes it is safe to have Shiatsu or Reiki during pregnancy. However, if you are pregnant, I advise you to discuss whether these treatments are appropriate for you with your midwife or obstetrician. If you think you might be in the early stages of pregnancy, please inform me when you attend for your treatment. 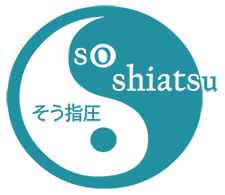 I have completed Expectancy Ltd’s Caring for Pregnant Clients course and will be happy to discuss any concerns prior to making an appointment. Has any research been carried out on the benefits of Shiatsu? 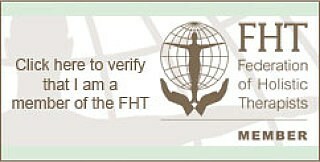 I see you are a member of the FHT. What does that mean for me as a client? Unanswered questions? Don’t hesitate to contact me!